Join n+1, the New York Institute for the Humanities, and the Brooklyn Institute for Social Research for Ethics After Postmodernism, a symposium investigating the legacy of the Postmodern in philosophy, politics, and the arts. Speakers include Thomas de Zengotita, Abigail Kluchin, Mark Greif, Liane Carlson, Justin E.H. Smith, and Asad Haider. 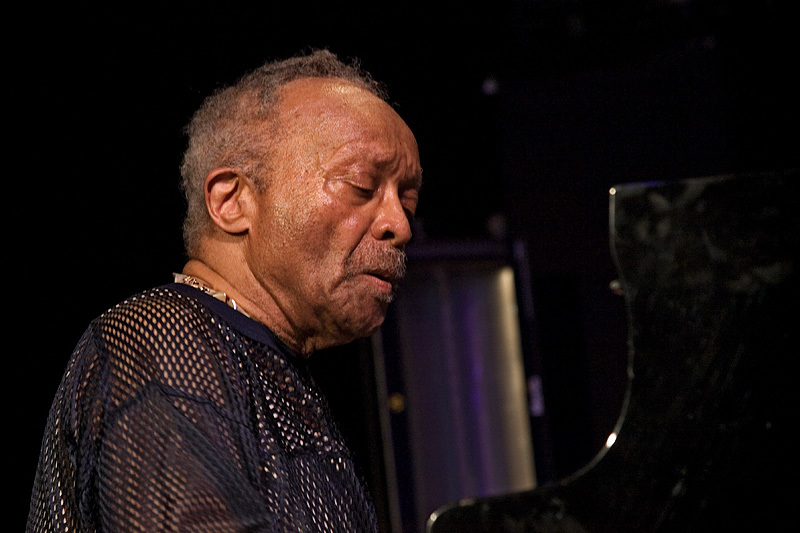 With the death last spring of Cecil Taylor—one of the most innovative musicians of the postwar period—the reach and influence of this extraordinary artist have become ever more apparent and justly celebrated. In Conquistador!, fellows of the New York Institute for the Humanities and noted musicians join to examine Taylor’s legacy in an evening of performances and conversations. Scheduled participants include Yusef Komunyakaa, D.D. Jackson, Andrew Cyrille, Fred Moten, Kris Davis, Adam Shatz, Matthew Shipp, Tracie Morris, Craig Taborn, and Steve Dalachinsky. This event is free and open to the public, but RSVP is required. A recent strong account of Bruegel ends by asserting that his Winter Landscape with a Bird Trap presents us with a 'terrifying perspective' on the world. Is this right? What is Bruegel's “attitude” to the things he shows us? What is the difference between Bruegel's and Picasso's Fall of Icarus? Is the word “pessimism” called for in either case? How, in general, should language approach the non-language of paintings like The Cripples and Two Monkeys? Or come to that, like Picasso's Charnel House of 1945? 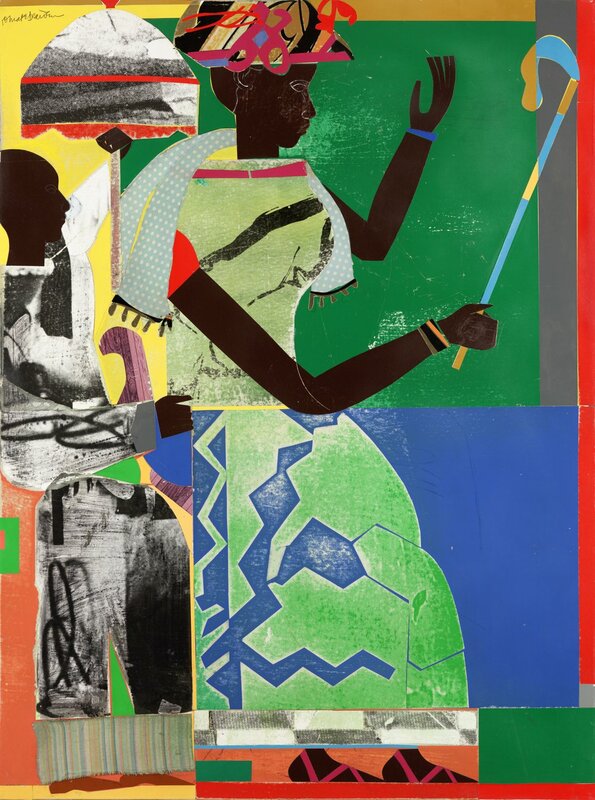 T.J. Clark is Professor Emeritus of the History of Art at the University of California, Berkeley. He is the author of many books including the seminal The Painting of Modern Life: Paris in the Art of Manet and His Followers and Farewell to an Idea: Episodes from a History of Modernism. On the occasion of Grace Schulman’s new memoir, Strange Paradise: Portrait of a Marriage, three writers who have shifted between genres will discuss the differences in process according to genre, how they decide to take on a new project, and many other topics related to writing fiction, poetry, memoir, and non-fiction. Benjamin Taylor’s memoir, The Hue and Cry at Our House won the 2017 Los Angeles Times/Christopher Isherwood Prize for Autobiography and was named a New York Times Editors’ Choice; his Proust: The Search was named a Best Book of 2015 by Thomas Mallon in The New York Times Book Review and by Robert McCrum in The Observer (London); and his Naples Declared: A Walk Around the Bay was named a Best Book of 2012 by Judith Thurman in The New Yorker. He is also the author of two novels, Tales Out of School, winner of the 1996 Harold Ribalow Prize, and The Book of Getting Even, winner of a 2009 Barnes & Noble Discover Award, as well as a book-length essay, Into the Open. 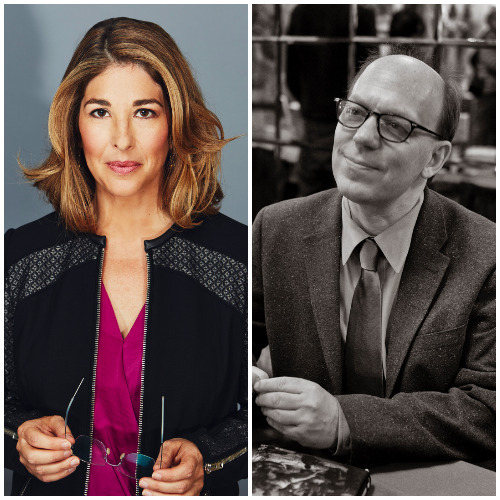 He edited Saul Bellow: Letters, named a Best Book of 2010 by Michiko Kakutani in The New York Times and Jonathan Yardley in The Washington Post, and Bellow’s There Is Simply Too Much to Think About: Collected Nonfiction, also a New York Times Editors’ Choice. His edition of the collected stories of Susan Sontag, Debriefing, was published by Farrar, Straus & Giroux in November 2017. He is currently under contract to Penguin for a sequel to The Hue and Cry at Our House. Taylor is a founding faculty member in the New School’s Graduate School of Writing and teaches also in the Columbia University School of the Arts. He is a past fellow and current trustee of the John Simon Guggenheim Memorial Foundation and serves as president of the Edward F. Albee Foundation. Meghan O’Rourke began her career as one of the youngest editors in the history of The New Yorker. Since then, she has served as culture editor and literary critic for Slate as well as poetry editor and advisory editor for The Paris Review. Her essays, criticism, and poems have appeared in Slate, The New Yorker, The New York Times Magazine, The New York Times Book Review, The Nation, Redbook, Vogue, Poetry, The Kenyon Review, and Best American Poetry. O’Rourke is also the author of the poetry collections Once (2011) and Halflife (2007), which was a finalist for both the Patterson Poetry Prize and Britain’s Forward First Book Prize. She was awarded the inaugural May Sarton Poetry Prize, the Union League Prize for Poetry from the Poetry Foundation, a Guggenheim Fellowship, a Radcliffe Fellowship, a Lannan Literary Fellowship, two Pushcart Prizes, and a Front Page Award for her cultural criticism. She has been a fellow at the MacDowell Colony and has taught at Princeton, The New School, and New York University. Józef Czapski (1896–1993) lived many lives during his ninety-six years: student in Saint Petersburg during the Russian Revolution, painter in Paris in the roaring twenties, Polish reserve officer fighting the invading Nazis at the onset of World War II. When taken prisoner of war in a Soviet camp, and with nothing but memory to go on, he brought Marcel Proust’s In Search of Lost Time to life for an audience of prison inmates. In a series of lectures, Czapski described the arc and import of Proust’s masterpiece, sketched major and minor characters in striking detail, and movingly evoked the work’s originality, depth, and beauty. Eric Karpeles has translated this remarkable feat of the critical imagination into English in addition to authoring the first biography of this towering figure. Anka Muhlstein joins Karpeles in a conversation about this singular project and astoundingly complex figure. She-ba, 1970. Collage on paper, cloth and synthetic polymer paint on composition board, 48 x 35 7/8 in. (122 x 91.2 cm). Photography credit: Allen Phillips/Wadsworth Atheneum. Wadsworth Atheneum Museum of Art, Hartford, Connecticut. The Ella Gallup Sumner and Mary Catlin Sumner Collection Fund, 1971.12. On Friday, December 8th please join us for “Svetlana Boym: Exile and Imagination”: A film by Judith Wechsler. The screening will be followed by a discussion between Wechsler and Anne Lounsbery, Associate Professor of Russian Literature and Chair of the Department of Russian & Slavic Studies at New York University. This event is co-sponsored by the New York Institute for the Humanities at NYU and the NYU Jordan Center for the Advanced Study of Russia. This one hour documentary film is about the life and work of Svetlana Boym, literary and cultural critic. In 1980, age 21, Svetlana left the USSR for the US. After graduate studies at Boston University and Harvard, she became the Carl Hugo Reisinger Professor of Slavic and Comparative Literature at Harvard University. A brilliant writer of ambitious scope and great imagination, combining personal memoir with philosophical essay and historical analysis, she explored motifs of exile, nostalgia, the diasporic imagination and different forms of freedom in Pushkin, Dostoevsky, Mandelstahm, Akhmatova, Nabokov, Brodsky, and many others, in a total of six books, with two more about to appear. Through videos of her lectures and interviews, together with photographs since her childhood, and her own photographs, and photomontages, we convey this remarkable person and her scholarly, critical, and artistic contributions. Interviews with family, teachers, colleagues, students and friends provide different perspectives. Much of the text of the film is drawn from Svetlana Boym’s writings and lectures. Exuberant, ironic and witty, Boym was a charismatic critic and teacher until her untimely death from cancer, at age of 56. Judith Wechsler is an art historian and filmmaker. She has written and directed 28 films, predominantly on art, for the Louvre, with the Comèdie francaise, for the Metropolitan Museum and others. Her most recent films include “The Passages of Walter Benjamin” and “Aby Warburg: Exile and Imagination”. Wechsler is the National Endowment for the Humanities Professor in art history Emerita at Tufts University, taught for many years at MIT and was visiting professor at Harvard, The Ecole normale supèrieure in Paris and The Hebrew University, Jerusalem. She is the author of A Human Comedy, Physiognomy and Caricature in 19th Century Paris, and books on Cézanne and Daumier as well as numerous articles and essays on 19th and 20th century art. Wechsler was a fellow at the American Academy in Berlin, at Bogliasco, and at the van Leer Foundation in Jerusalem. The French government named her a Chevalier de l’ordre des arts et des lettres. 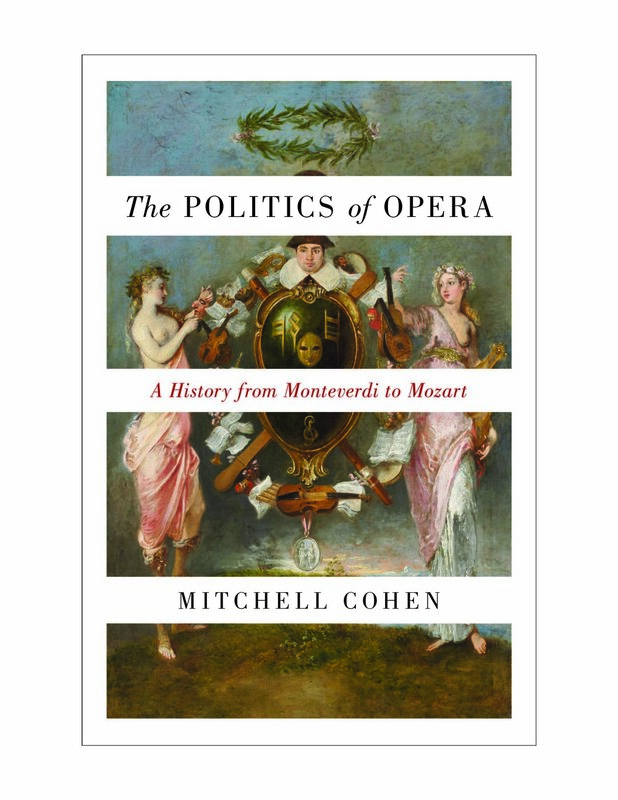 In his new book The Politics of Opera, Mitchell Cohen takes readers on a fascinating journey into the entwined development of opera and politics, from the Renaissance through the turn of the nineteenth century. What political backdrops have shaped opera? How has opera conveyed the political ideas of its times? Delving into European history and thought and an array of music by such greats as Lully, Rameau, and Mozart, Mitchell Cohen reveals how politics—through story lines, symbols, harmonies, and musical motifs—has played an operatic role both robust and sotto voce. Join Cohen and respondents Katha Pollitt and Mark Anderson for a conversation about the intersections of music, the state, and politics. Mitchell Cohen is professor of political science at Baruch College and the CUNY Graduate Center and editor emeritus of Dissent. 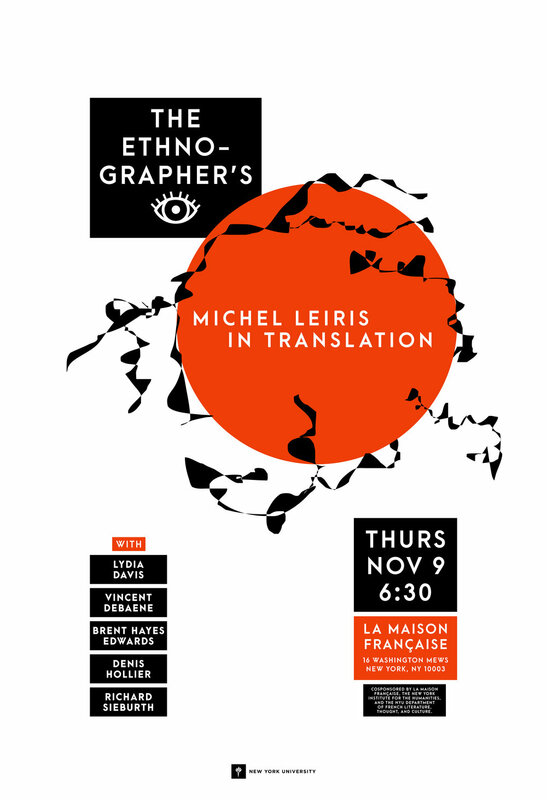 Join us for a panel discussion marking the appearance of new translations of the work of Michel Leiris: Phantom Africa, translated by Brent Hayes Edwards and Fibrils, Vol. 3 of The Rules of the Game, translated by Lydia Davis. Books will be available for purchase at a discount. Figure One. Network Theory, Plot Analysis. Literary Lab, Stanford University. 2011. NYU’s Institute for Public Knowledge and the NYIH at NYU invite you to join us for a launch event for Rachel Sherman’s new book Uneasy Street: The Anxieties of Affluence (Princeton University Press, 2017). Sherman will be present in conversation with Ron Lieber. Princeton University Press and the New York Institute for the Humanities at New York University are pleased to announce the second the Second Annual PUP/NYIH Lecture in the Humanities. With the aim of highlighting both the value and the relevance of the humanities, this new lecture will be given annually in New York by notable figures from a wide range of fields and will explore humanistic topics and themes. This year's lecture will be given by Annette Gordon-Reed, who is the Charles Warren Professor of American Legal History at Harvard Law School and a professor of history in the Faculty of Arts and Sciences at Harvard University. Gordon-Reed won the Pulitzer Prize in History in 2009 for The Hemingses of Monticello: An American Family (W.W. Norton, 2009). Her most recently published book (with Peter S. Onuf) is “Most Blessed of the Patriarchs”: Thomas Jefferson and the Empire of the Imagination (Liveright Publishing, 2016). Gordon-Reed's lecture, "Thomas Jefferson’s Imagined Black Nation," draws on her research from this book. Thomas Jefferson had a vision of enslaved African Americans as a "captive nation," a nation that could not coexist peacefully with the American nation. How did Jefferson come to this view? What are we to make of him in light of his pessimism about the possibility of a multiracial, multicultural society? Unwanted Advances: Sexual Paranoia Comes to Campus is Laura Kipnis's provocative argument for how the “recent upheavals in sexual culture on American campuses” are symptomatic of “officially sanctioned” sexual paranoia and hysteria. She will be joined in conversation by the cultural critical Shamus Khan, of Columbia University. Laura Kipnis is a cultural critic/essayist whose work focuses on sexual politics, emotion, acting out, bad behavior, and various other crevices of the American psyche. She is the author of MEN: Notes from an Ongoing Investigation (November 2014/ Metropolitan), and her latest book is Unwanted Advances: Sexual Paranoia Comes to Campus; her previous books, which include How To Become a Scandal and Against Love, have been translated into over fifteen languages. She teaches in the filmmaking program at Northwestern University. Shamus Khan is associate professor of sociology at Columbia University, where he is the director of the graduate program. He is also an editor at Public Culture and writes on culture, inequality, and elites. This event was co-sponsored by the Institute for Public Knowledge and Public Books. **for an audio recording of this event, please go to our Audio Archives in the main navigation bar of the NYIH home page.